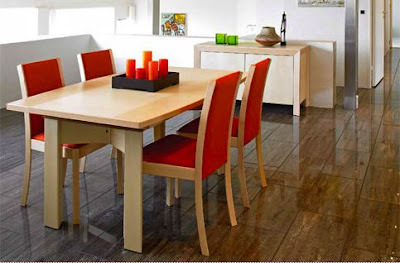 Whenever the time arises for furniture shopping, my style seems to lean toward the modern and contemporary furniture selections. I have never taken advantage of the opportunity that was presented to outfit several plush locations with full decor, i.e. the beach apartment I lived in, in Palos Verdes, CA or the rented apartment that I had here, in Indianapolis, but as time moves on, I have learned to take on opportunities that are presented, to alleviate the gap between could have and wish that I did. 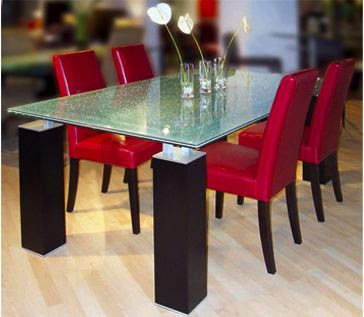 With that being said, below are images of some contemporary dining room furnishings that I like. What do you think? Contemporary furniture and sofas from Spacify.com. Exclusive designer solutions for the modern home.